Treatment services include joint/movement restriction mobilisation and therapy, bio-mechanical analysis of movement restrictions and areas of weakness, appropriate taping and support strategies, movement-based correction, imbalance training, rehabilitation and ‘return-to-play’ fitness programmes etc. Hands-on treatment of high-performing athletes and amateur sports enthusiasts. 1. Tell us about your background in Physiotherapy. I graduated from Brunel University London, and like most new graduates in the UK, I started my career working in an NHS hospital. During this time I worked in many different specialties of Physiotherapy including inpatient wards and outpatient clinics for musculoskeletal, neurological and respiratory care. Three years later, after landing in Hong Kong in early 2013 I began working in a busy private clinic treating mainly office workers and sports enthusiasts. This combination meant working with plenty of post operative and sporting injuries and was where I really fell in love with the rehabilitation process. Throughout this time I have undertaken various Pilates training and manual treatment courses to constantly develop my skills. 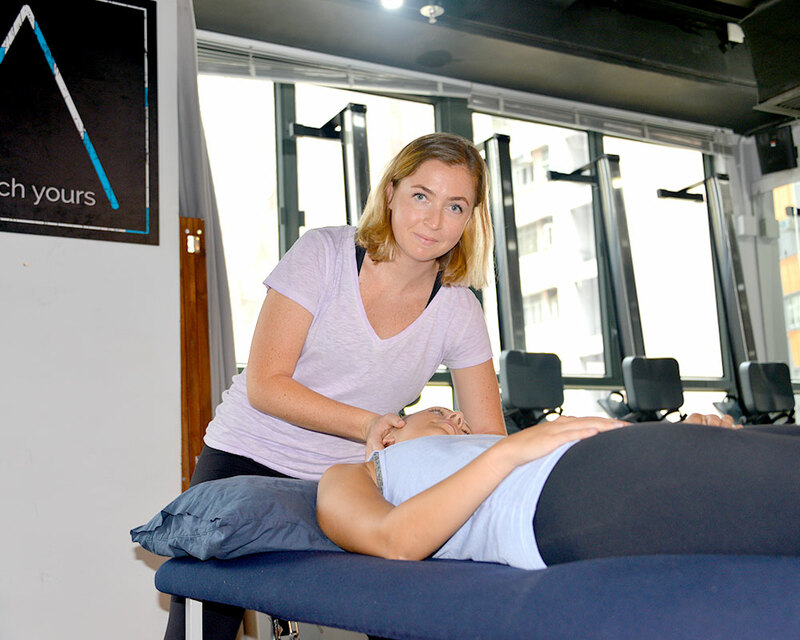 My sports physiotherapy career also started here in Hong Kong and I have been able to work with club rugby at HKFC, Hong Kong Women’s XV Rugby, Hong Kong Cricket Association as well as various professional tennis and badminton players at events in Hong Kong. 2. What are your interests? Sporting wise, I am a rower and before that an equestrian rider, however now most of my activity is centred around my dogs who are both rescues from here in Hong Kong. When not updating their instagram page, I am often found hiking with friends or trying new restaurants and fun activities around town. Being here in Hong Kong, we are lucky to be in a position to travel around Asia easily, so in my time off I am trying to visit as many places as possible. 3. Tell us about a life-changing experience or adventure you’ve been on. I am fortunate to have grown up in the Middle East, and now being in Hong Kong, I have been immersed in different cultures and met so many interesting people. Although not naming just one particular experience, this has meant I have friends and family all around the world and I recommend all of my friends to live or work away from their home, even if it is for just for a year to experience that adventure. 4. What is your area of expertise? I enjoy treating musculoskeletal and sporting injuries and feel I am particularly knowledgable about knee and shoulder problems such as anterior knee pain syndromes or rotator cuff injuries. Spinal problems, particularly neck pain and cervicogenic headaches, or low back and pelvic pains are very common and I also find these very interesting areas to treat. I often find that all of these kinds of pains are related to biomechanical imbalances, often from joints or areas above or below those that are feeling pain. 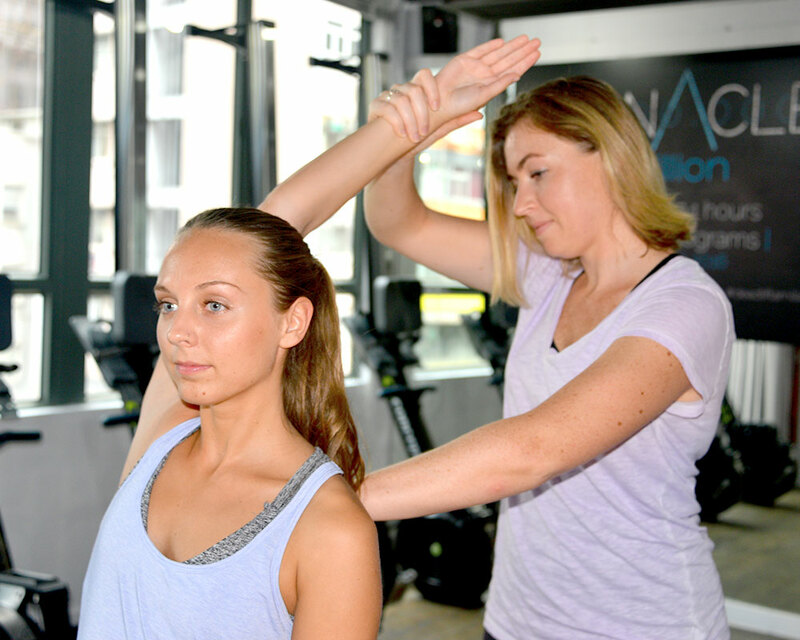 Once identified I can help correct them using a mixture of hands on treatments such as joint mobilisation and muscle or myofascial release and exercise based treatments such as clinical pilates to restore whole body mechanics. 5. What is the most fulfilling part of the job? I love educating my patients on their injuries and anatomy as you can see them really start to understand why they may be experiencing their pain. Teaching them how they are able to help themselves and then watching that progress for them to become pain free is a very gratifying feeling.